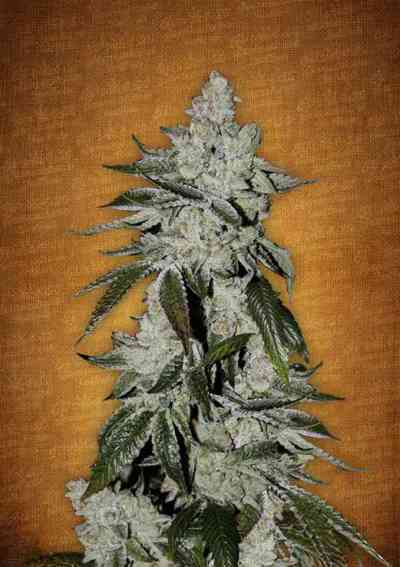 The legendary Californian medical strain Girl Scout Cookies has just been given the Auto Seeds treatment. The cross was done using the incredibly potent and highly stable MiG 29, delivering an auto shockingly high in THC that's ready in 70-75 days. The slightly increased time has enabled to maximize both the THC and yield, meaning you won't be dissatisfied with a lower harvest common to many inferior autos. The THC level of this auto reaches an incredible 24%. In a Sea of Green it can also yield a massive 600g/m2. Girl Scout Cookies Auto produces very dense, bright green buds, glistening with snowy trichomes and wrapped by leaves with a beautiful purple tinge. As the name suggests, Girl Scout Cookies Auto is super sweet on the inhale, a true candy lover’s dream with flavours of brown sugar, chocolate and nutmeg all present. On the exhale, savoury notes of pepper and lemongrass and an earthy pungency may be detected reminding us of its original OG heritage. Like the original, it's sativa dominant, a true heavy hitter starting off very cerebral and euphoric moving into a more relaxed body stone that won't give you a couch lock. Girl Scout Cookies is known for its medical applications. Popular in dispensaries for its mood enhancement, treatment of anxiety and stress relief it can also boost appetite and help treat severe pain. 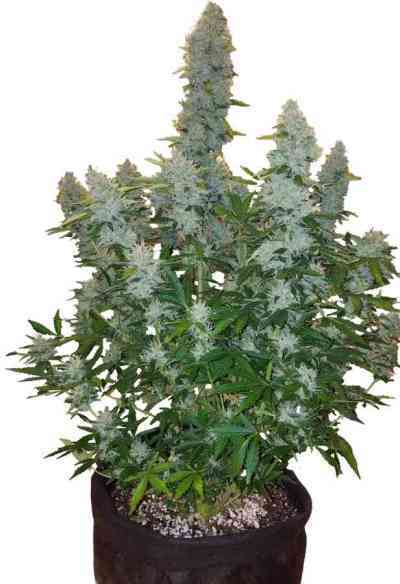 Easy to grow and being relatively compact, it's a breeze to conceal if growing outdoors. Indoors, Girl Scout Cookies Auto responds best with lighting upwards of 600W/m2 and a plant ratio greater than 9 plants/m2 will maximise yield in that space. It's taken some time but we believe we've produced the best Girl Scout Cookies Auto possible! This is a killer. Thanks for the advise guys! Really love it.